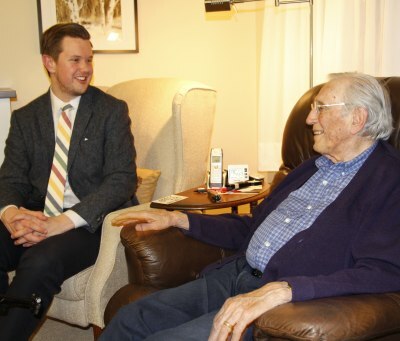 Looking at Lount’s Castle on a winter day. 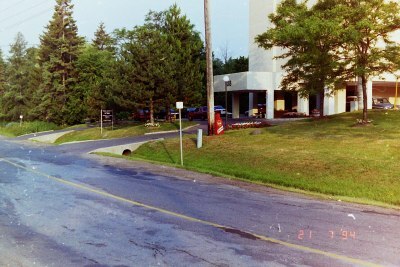 Looking South towards Lount’s Castle on Valley Drive. 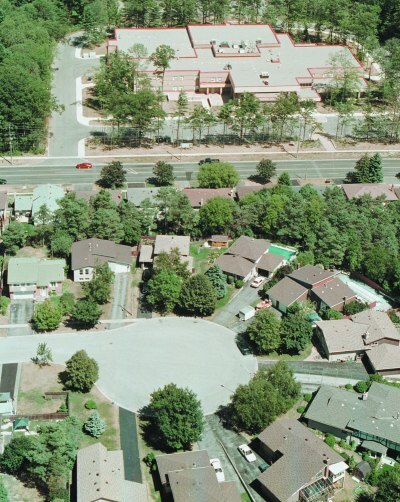 Aerial overlook of Anne Street North and Atwood Court. 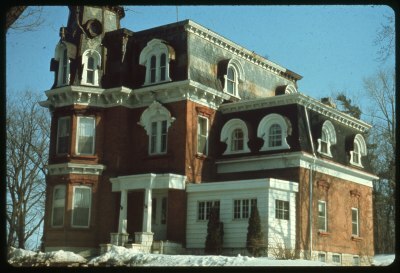 Conseil scolaire de district catholique Centre-Sud located at 249 Anne Street. 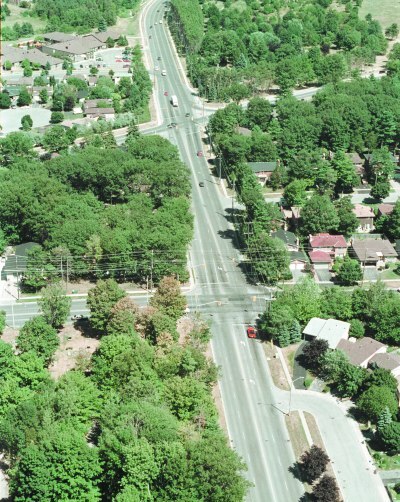 Aerial view of the intersection at Anne Street North and Cundles Road West. 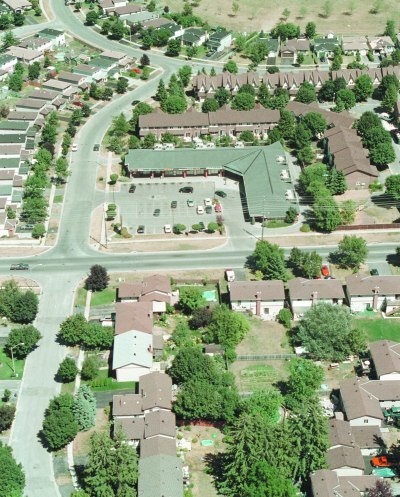 Aerial view of the intersection at Anne Street and Janice Drive, showing the commercial plaza. 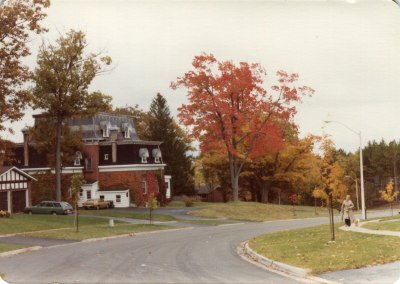 Lillian Crescent is in the backround. 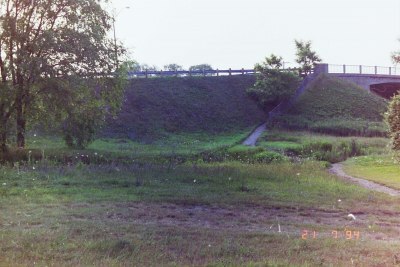 Anne Street North reservoir property, looking due North from Shirley Avenue. 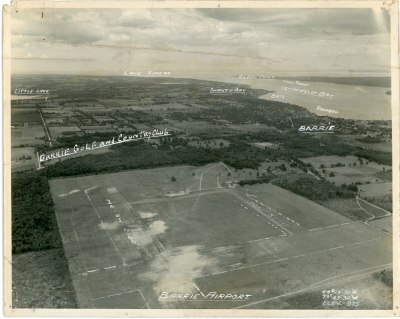 Aerial shot of the Barrie Airport property prior to development. 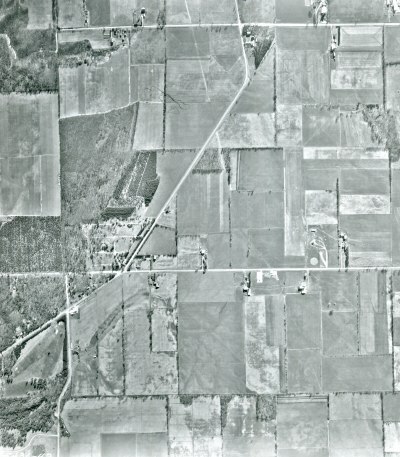 Aerial showing Anne Street bridge upper left and Sunnidale Road bridge lower left over Highway 400 and surrounding undeveloped areas. 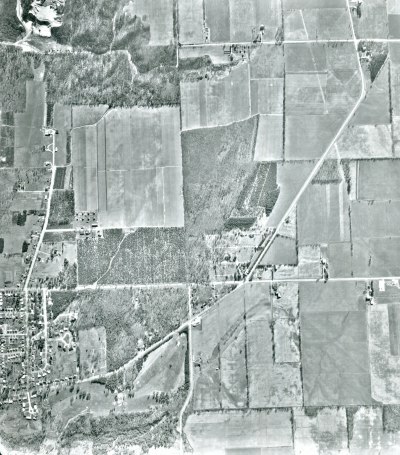 Aerial showing the Northwest end where Anne Street North and Sunnidale Road intersect middle right. 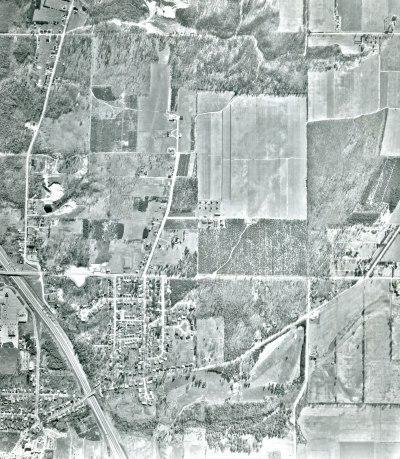 Aerial of the Northwest end showing Ferndale Drive North top Anne Street North middle and Sunnidale Road diagnal lower left to top. 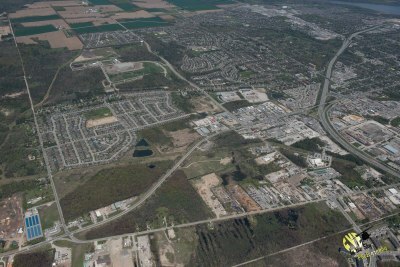 Aerial view showing Highway 400 (centre) with Tiffin Street (far right) and Dunlop Street (left). 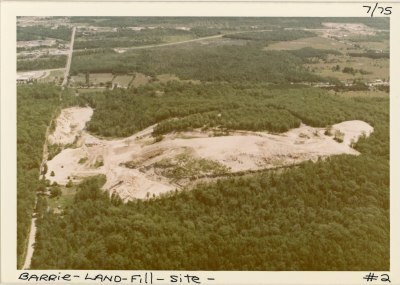 Aerial view of future landfill site West of Ferndale Drive (1). 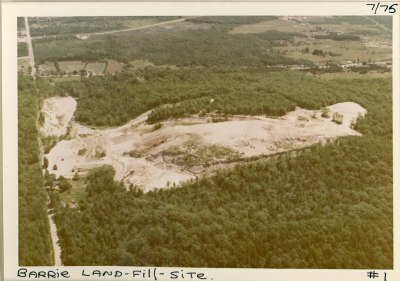 Aerial view of future landfill site West of Ferndale Drive (2). 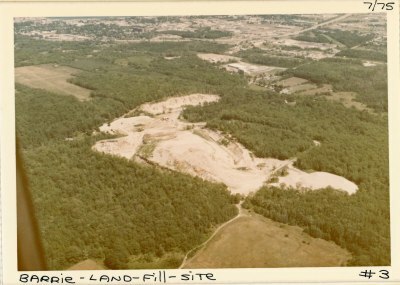 Aerial view of future landfill site West of Ferndale Drive (3). 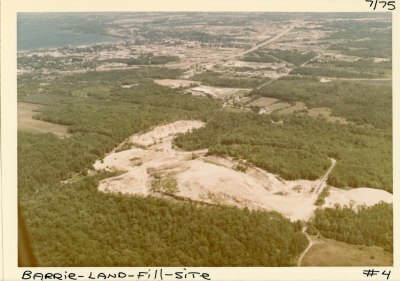 Aerial view of future landfill site West of Ferndale Drive (4). 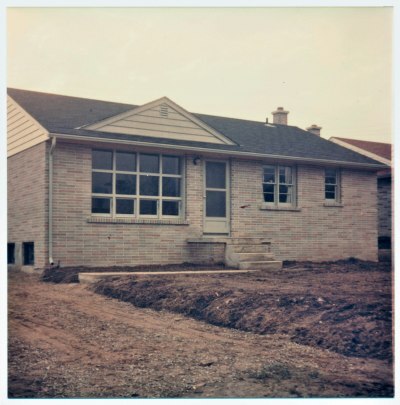 Exterior of 8 Aleda Street home of the Ayres family. 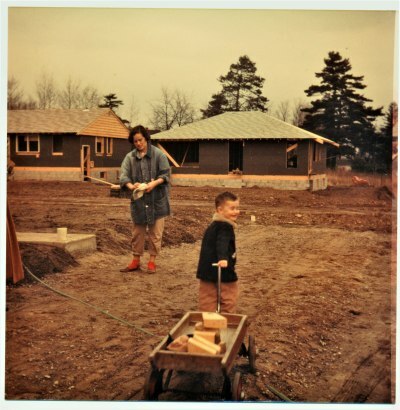 Violet Ayres and son Rand in the driveway of 8 Aleda Street during construction and development of this subdivision. 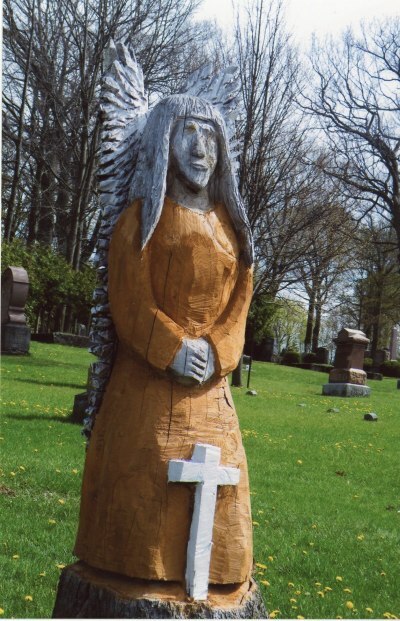 A First Nations monument in the Barrie Union Cemetery representing their conversion to Christianity. 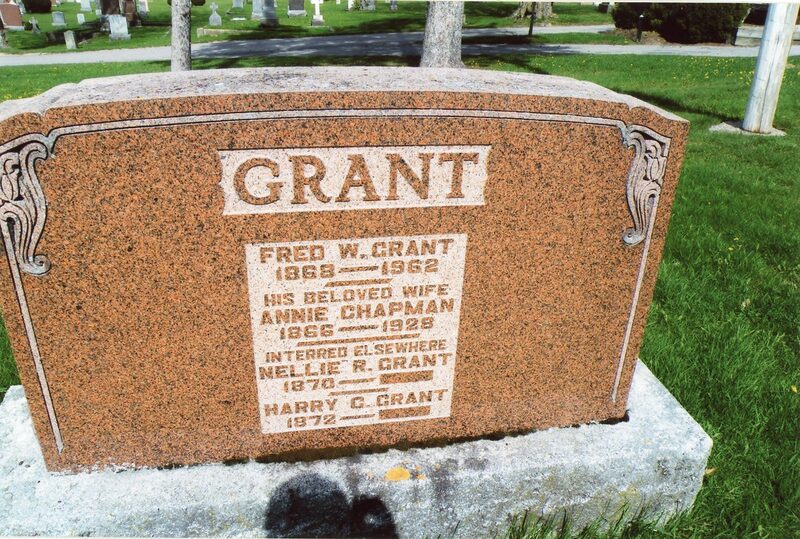 Tombstone of Fred Grant Square in the Barrie Union Cemetery. 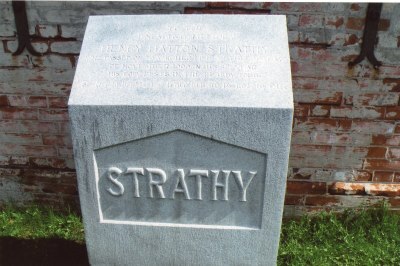 Tombstone of Henry Strathy in the Barrie Union Station. 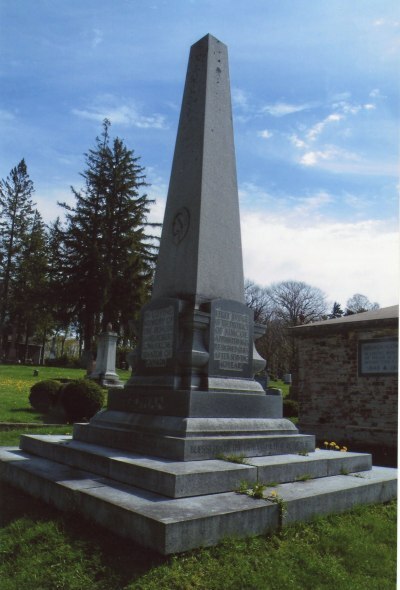 Tombstone of Sir Robert Gowan first judge in Simcoe County at the Barrie Union Cemetary. 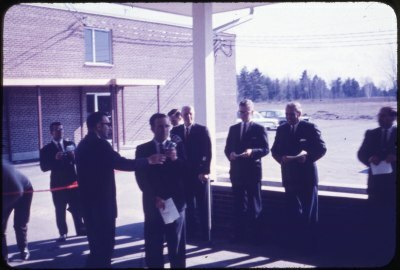 Mayor Les Cooke (second from right) helps with the red ribbon cutting to open the Continental Inn on Dunlop Street West (1). 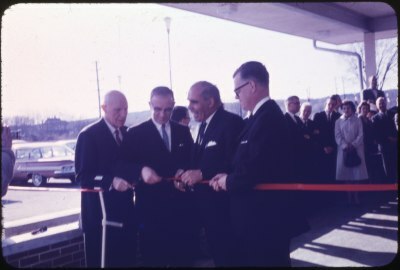 Mayor Les Cooke (second from right) helps with the red ribbon cutting to open the Continental Inn on Dunlop Street West (2). 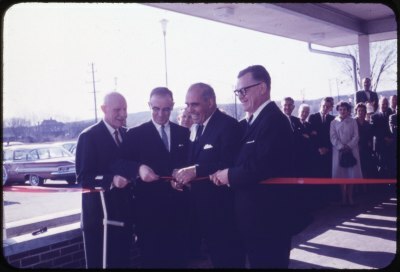 Mayor Les Cooke (second from right) helps with the red ribbon cutting to open the Continental Inn on Dunlop Street West (3). 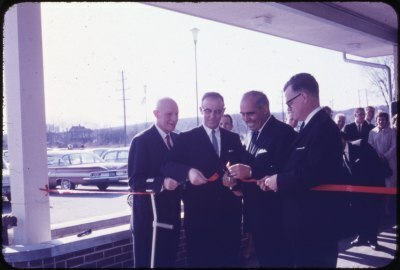 CKBB Radio broadcasts live during the opening of the Continental Inn on Dunlop Street West. 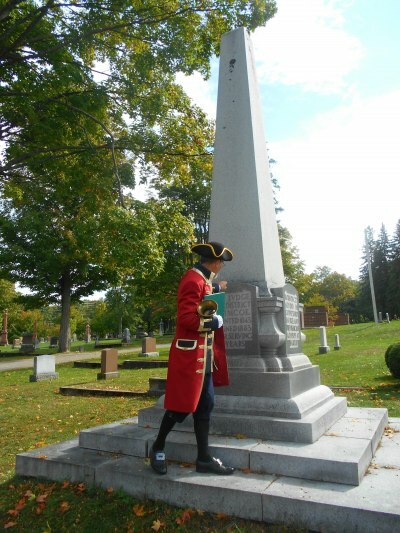 Town Crier, Steve Travers, with the grave marker of Thomas D. McConkey. 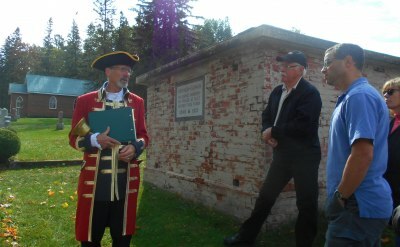 Town Crier, Steve Travers, at Ardagh Gowan crypt at the Barrie Union Cemetery. 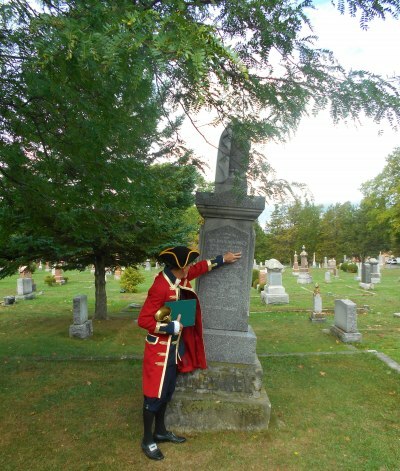 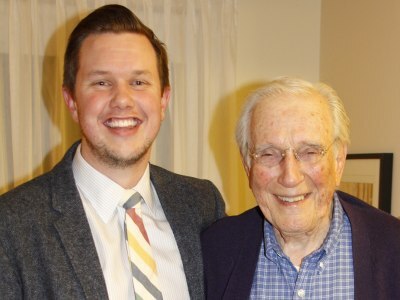 An Interview With Christine Bentley. 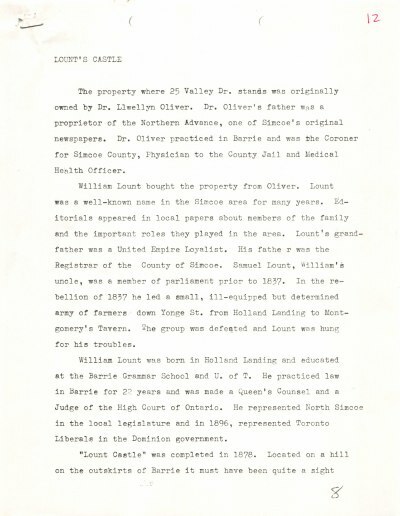 History of 11 Letitia Street. 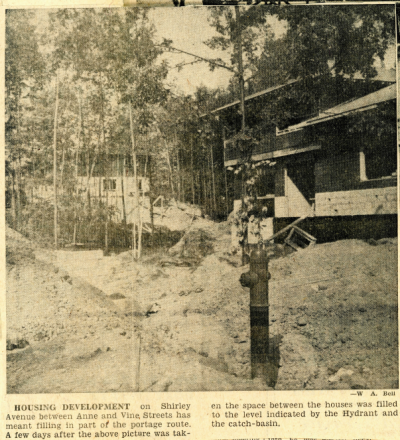 Housing Development on Shirley Avenue. 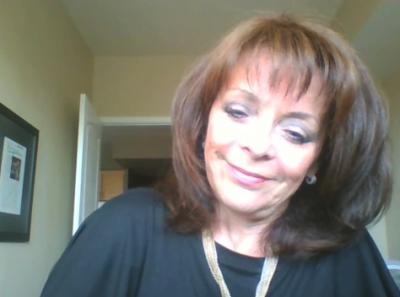 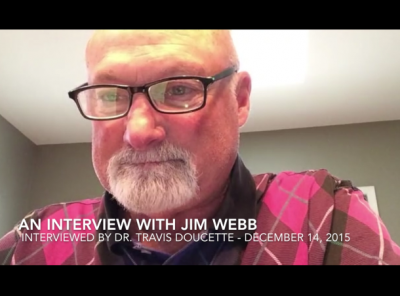 An Interview With Janice Laking. 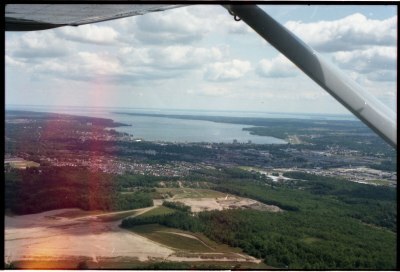 Aerial shot looking East towards Kempenfelt Bay. 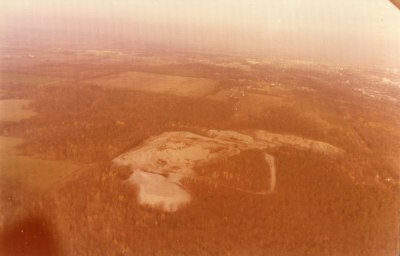 The Sandy Hollow Landfill site where Ferndale Drive North now runs can be seen in the bottom. 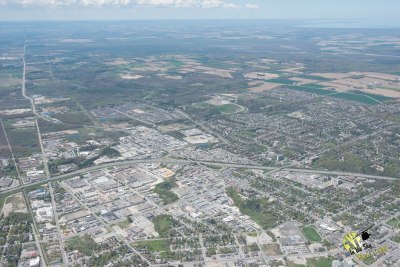 Aerial View of Letitia Heights and surrounding area (6). 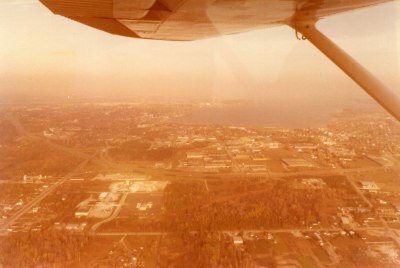 Aerial View of Letitia Heights and surrounding area (5). 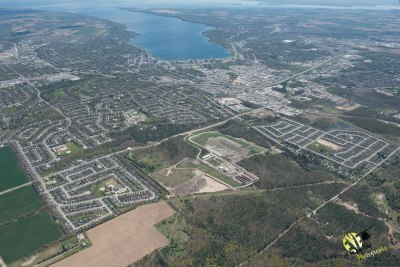 Aerial View of Letitia Heights and surrounding area (4). 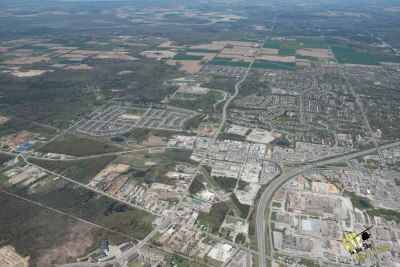 Aerial View of Letitia Heights and surrounding area (3). 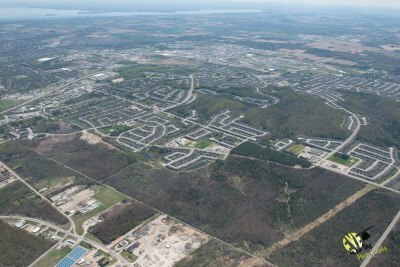 Aerial View of Letitia Heights and surrounding area (2). 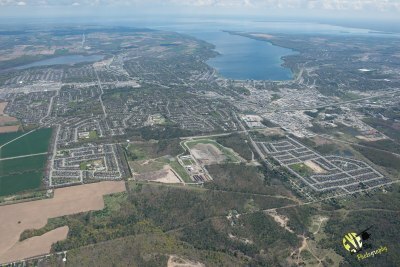 Aerial View of Letitia Heights and surrounding area (1). 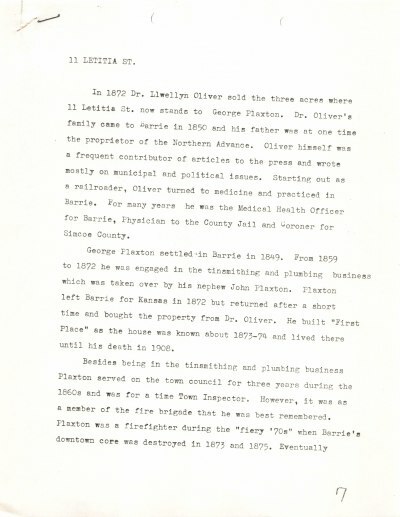 Inventory of Edgehill Drive between Anne Street and Leacock Drive (4). 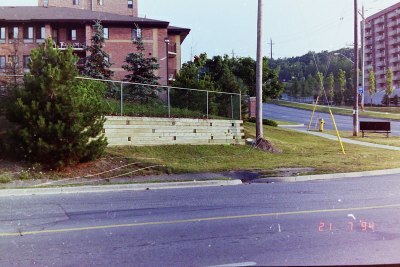 Inventory of Edgehill Drive between Anne Street and Leacock Drive (21). 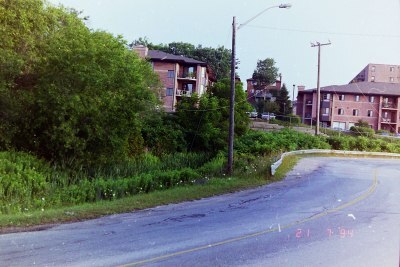 Inventory of Edgehill Drive between Anne Street and Leacock Drive (23). 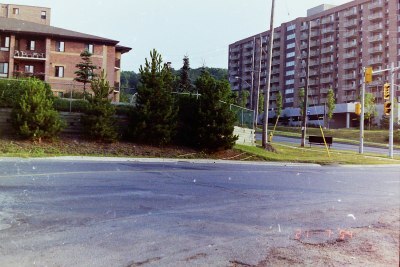 Inventory of Edgehill Drive between Anne Street and Leacock Drive (24). 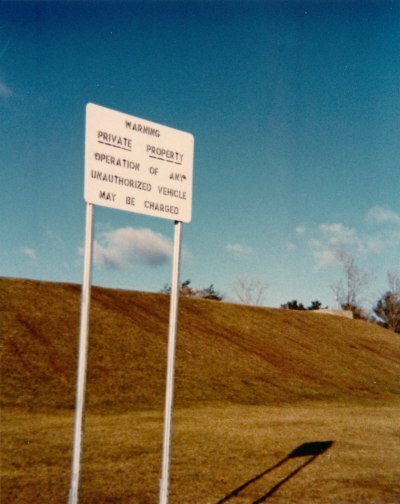 Inventory of Edgehill Drive between Anne Street and Leacock Drive (25).